After our bitin lunch at Morganfield's, I was craving for more baby back ribs but can't find a place to appease our appetite so we decided to just skip it and go Japanese for dinner instead. A week after, I came across an article featuring some of the best places to try in Maginhawa Street in QC, a foodies dreamland famous for being a playground for budding entrepreneurs with interesting and unique food concepts. Of the numerous establishments in Maginhawa, Rib City kept standing out and is consistently bagging the top spot of the best and highest rated restaurant in the area. As most establishments in Maginhawa have no allotted parking lots, make sure you come early because street parking is limited. Better yet, just hail a cab or get an Uber ride to drive you to your destination. With that in mind, we left early and got to the restaurant at 630PM. The diners' happy faces and the restaurant being a full house that early were positive signs that we've made the right choice. 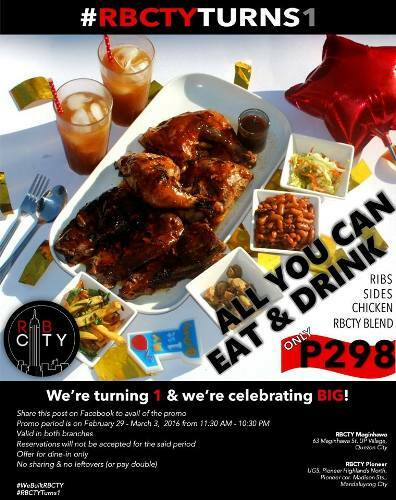 A pop-up menu of Rib City's offerings was handed to us as soon as we were seated. Interiors were simple yet functional. The urban-inspired wall decals reminded me of my room some few years ago when I was first bitten by the travel bug (I have yet to find a cure for this though). Customers can also play with Lego pieces placed on each table while waiting for your orders. I read that first timers must order the Twin City, a combination of chicken and ribs which comes with 2 sides, for a full experience of their best sellers. But since we came here for the smoked BBQ ribs, we agreed to get the Big City instead -- a huge plate of RBCTY ribs with 4 side dishes. The serving was good enough for 4 people but we wanted to play safe so CS and I won't have to fight over a slab of ribs if it wasn't enough. Besides, the prices were reasonable enough so Big City it is! Food was delicious, service was fast and the staff are attentive but one thing that kept bothering me was the horrible acoustics. It was a challenge to have a decent conversation as it is but what's worse is being seated next to a loud group who cannot keep their voices down. Would I dine here again? Heck, yes! I'd just have to go during off-peak hours or maybe bring an ear plug to have a peaceful and enjoyable dining experience. But for an eat and drink all you can promo, I guess I'd make an exception. 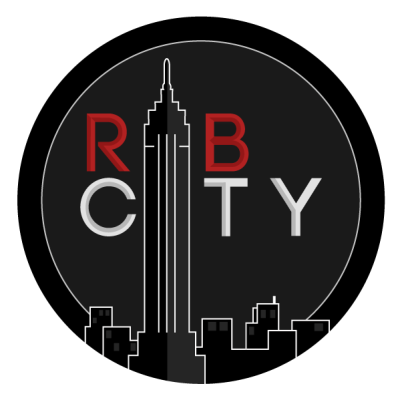 Hurry as this celebration of RBCTY's anniversary is valid until March 3 only!